Home / Articles / Psychics: What Is True And What Is Not? In an effort to help you by shedding light to most common questions. We are giving you a fact on what is real or not with a psychic. False: A psychic always reads your mind. True: Psychic readers can get an indication of what’s on your mind if we focus our intent on doing so but if we did that with every person all the time, we would become tired and need mental health assistance! Aside from this, a professional reader will ask for one’s permission instead of invading his/her privacy. Thus, some things such as face reading and intuition become automatic, but psychics usually tune into it for a short period of time and only when needed. In addition, if a person does not want to be read, he/she can’t be. False: A psychic reader knows everything about the person. True: Psychic is not the same as omniscient! According to Wikipedia: “Omniscience, mainly in religion, is the capacity to know everything that there is to know. In particular, Hinduism and the Abrahamic religions (Judaism, Christianity, and Islam) believe that there is a divine being who is omniscient.” No psychic is all knowing. A psychic reader often focuses on a certain area of concern that’s often chosen by the individual who wants to get a psychic reading. In some cases, when an individual (also called a seeker or sitter) only wishes to be read, the physic sees general information that they interpret into common or certain insights for the person. The quality of the insight depends on the question as well as openness of the person to the reader. False: Readers will tell the person something terrible like he/she will die or get into an accident. True: Professional readers follow a code of ethics and it does not include telling people about things that are psychically detrimental to know about or things they can’t control. Some readers consider if the reading will benefit the person. If yes and it does not violate the code, then they will tell them and give them advice on how they can improve a tough situation. False: Psychic readers are scammers. True: There are scammers in all occupations – Scamming lawyers, scamming doctors, scamming accountants, scamming IT professionals etc. Most psychic readers want to provide a valuable service that helps a person and doesn’t deceive them. Desperate and vulnerable individuals and those who don’t want to take responsibility for their life or don’t want to work are very prone to deception. To drive scam artists away, take ownership over your life. Some readers re-direct vulnerable people to crisis centers and other kinds of help. False: Psychic readers often employ cold reading techniques and are fakes. True: Often, professional readers can read clothing and hair styles, body language and facial expression as they are genuinely interested in knowing, observing and understanding other people. Cold reading is frequently used separately or together with other reading tools such as palm, tarot and astrology. It can also be employed as an ice-breaker or for illustration purposes like when connecting reading insights to what’s seen visually. Everyday people also use cold reading methods in everyday transactions with other individuals without paying a lot of attention to it. These techniques help individuals establish relationships as well as get along with other people. Fake psychic readers use these techniques to deliberately deceive others. False: Psychics are not real unless they can provide a reading without questions being asked. True: Psychics might pick up random facts about an individual, but they normally need a concentrated effort to read a person. Also, that person should open himself up to the psychic reading. Professional readers will want to learn certain questions a seeker wants answered as they could be there throughout the day picking up stray psychic debris or Trues that don’t have any meaning or importance to the seeker. This is just a waste of time. 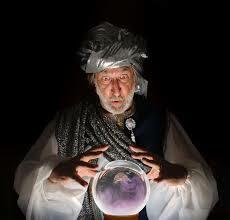 However, one thing that people should keep in mind is that readers and psychics are basically interpreters. They get information and interpret it into something practical and meaningful in order for the seeker to understand and relate to the response. The seeker’s question is the foundation for the reading because if there is no question, the response is possible to be common. False: Every reader is a psychic. True: There are some readers who aren’t psychics. On the other hand, every psychic is a reader. Being a psychic means a person has keen senses beyond the average. A reader is someone who possesses knowledge about an ancient scientific tool and is capable of interpreting a result, but doesn’t necessarily create intuitive jumps in interpreting the information collected from a reading tool like palmistry, astrology, tarot, handwriting analysis and numerology. Psychics use tools such as Clairvoyance (sight), Clairaugustance (tasting or smelling), Clairaudience (hearing), Claircognizance (knowing) and Clairsentience (feeling). They connect to the universal mind, pick up information and interpret the result. On the other hand, readers learn a system, pick up information and interpret the result. False: Psychic readers should not charge money for their services as it is spiritual and is a gift. True: Professional readers provide an important service that other people can benefit from. While their ability may be a gift, lots of people have gifts such as artists, psychologists, athletes, builders and actors. As everyone lives in a place that requires them to use money in order to survive, they need to earn a living and using their gifts is one of the best ways to do this. Professional readers also need to earn money to meet their needs. False: All readers or psychics know the past, present as well as future. True: Not all readers or psychics have the same interest or ability. Pre-cognition (future), retro-cognition (past) and cognition (present) are areas that a reader or psychic may focus on. However, it depends on their interest and ability as to how fine they can do so in these areas. False: A psychic reading is set in stone. True: Most professional readers believe in the combination of destiny and freewill. Freewill gives you the freedom to do what you want and change what you wish to change. Destiny, on the other hand, is something that just occurs to you and there is no way of changing it. A reader is similar to any other forecaster. They look at past acts and present situation to divine a result that’s likely to happen in the future. However, intervention or freewill can affect the prediction. This only means that no reader is accurate all the time. 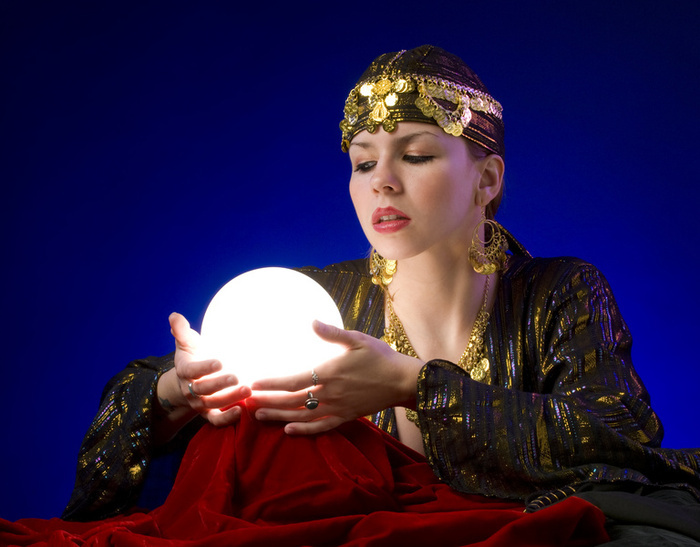 False: Psychic readings are only intended for divination fortune telling. True: Psychic readings can be used for seeing options, strategizing, healing, personality analysis, mediation and arbitration, past lives analysis, an objective viewpoint, Mediumship, meditation, dream manifestation, expanding experience, psychic or intuitive development, making choices, planning, brainstorming and idea generation, dream analysis, career and work counseling, story development, love and relationship diagnosis, counseling, consulting services, understanding society, situations, people and self or as an economical short term option to unlicensed coaching. False: Readers are aged, grey haired, ugly women who do their reading in dim and mysterious house spaces or living rooms that have plenty of old and strange things displayed. They have a crystal ball or odd picture cards that their long fingers as well as painted fingernails hold. Wearing a scarf over their head and with jewelry, they’re quiet but insightful and can see through the soul telling people all kinds of deep and devastating news and premonitions that leave one feeling ill. True: Although this kind of readers exist, modern readers often have an office or use instant message, snail mail, email or phone when reading for a person during a personal session. They may not or may see sitters in person and if they do, it may be in a café, office or at a special occasion in your home, spa or trade show. Readers also look like the everyday normal people. They can be socially beautiful, vivacious, trendy looking, young, a sports mom or a man. Some readers make sure to add excitement to an occasion. False: Testing psychics will confirm their accuracy. True: If a seeker deliberately builds a wall and if they’re an excellent builder, the psychic won’t be able to go through it. Psychics are not invincible paranormal beings and when they give a reading, it is an energy exchange – a give and take act. Although readings are entertaining, they aren’t meant to be a comical trick. Real psychics don’t like to be tested as they’re not magicians and are rarely capable of giving an accurate reading when being tested. They don’t want to match wits or play mind games. Psychics want to give seekers important insights that leave them feeling great. Providing false data can confuse them and get them nervous that can leave a negative vibe. It is a poor way of testing a psychic who really wants to help others. 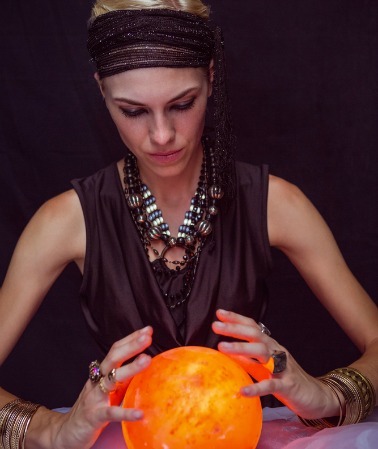 Some psychics are focused on giving entertainment, but they still follow etiquette when performing a special event reading. When seekers entertain themselves by confusing or tricking while obtaining a reading, they’re being unproductive and pessimistic and perhaps should not be receiving a reading from a real psychic. Testing psychics can negatively affect the vibe of an event, particularly those events that require an uplifting and positive vibe. 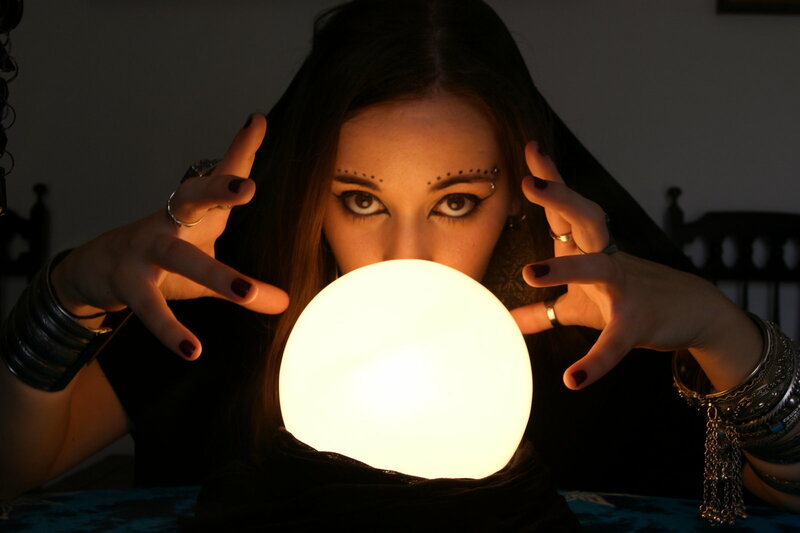 Thus, if you know that you have lots of guests who are sceptical and want to entertain themselves through testing a psychic, inform the psychic beforehand so that he/she can decide whether that’s the setting he/she wants to entertain or try a mentalist instead.